The Nationals Park food menu is as diversified as just any ballpark’s; you have an awful lot to choose from, and most of it is very good. But since I’ve already covered the Shake Shack and Box Frites in the Citi Field section of this website, here are some things at the home of D.C. baseball for you to try on your next trip. Yes, there is a smoked sausage in there. 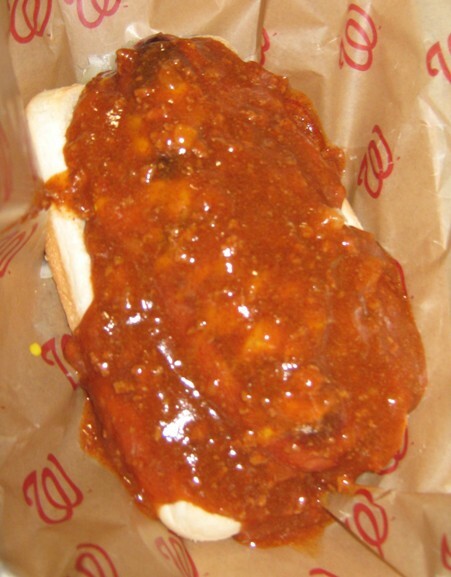 Nationals Park Food, Tip #1: The Ben’s Chili Half-Smoke. Ben’s Chili Bowl is a well-known D.C. institution. Its founder, Ben Ali, started his own chili business following his inability to finish dental school after falling down a broken elevator shaft. Eventually he turned a pool hall into Ben’s Chili, developed his outstanding spicy chili recipe, and the rest is history. Ali passed away in October of 2009, but his greatness lives on in Nats Park. The Chili Half-Smoke “All The Way” is a sausage that is like a kielbasa (but beefier and spicier), topped with Ben’s famous spicy chili, cheese, onions and mustard. They are very generous with the chili, and you need a lot of napkins and a spoon. Ben’s stands used to get crowded, but they have four locations in the park now and the Shake Shack’s appearance has taken over, so you shouldn’t have to wait too long to get one these days. And in my opinion, it’s still the go-to food item here. If you want something local, this is still the best spot. Ben’s is uniquely D.C., and uniquely Nationals Park. If you make it look delicious enough, you can charge almost any price. 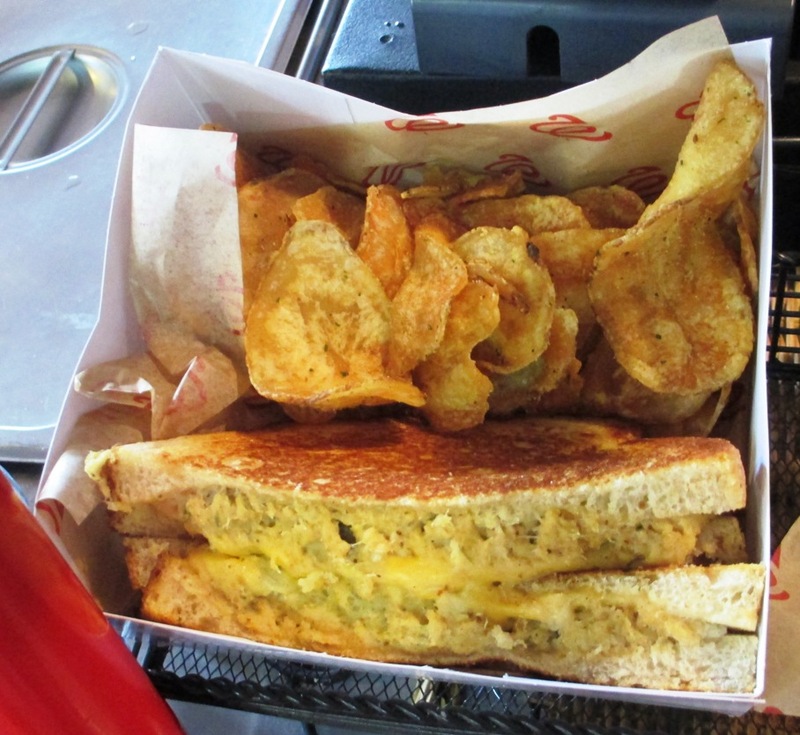 Nationals Park Food, Tip #2: Chesapeake Bay Crab Cake Grilled Cheese. Baltimore isn’t the only city close enough to the Chesapeake Bay to make it a crab town, and Nationals Park does quietly have a few crab items of its own at the Chesapeake Bay Crab Co. stand. I couldn’t help but notice this particular sandwich, a grilled cheese with crab meat on a hefty piece of bread. It comes with chips, which somewhat softens the blow of the price tag. Ballpark + seafood = really expensive. But if you can splurge, and you’re hungry, grab a bite of the crab grilled cheese. If not, try the crab nachos. The only thing missing is Bob Marley music. 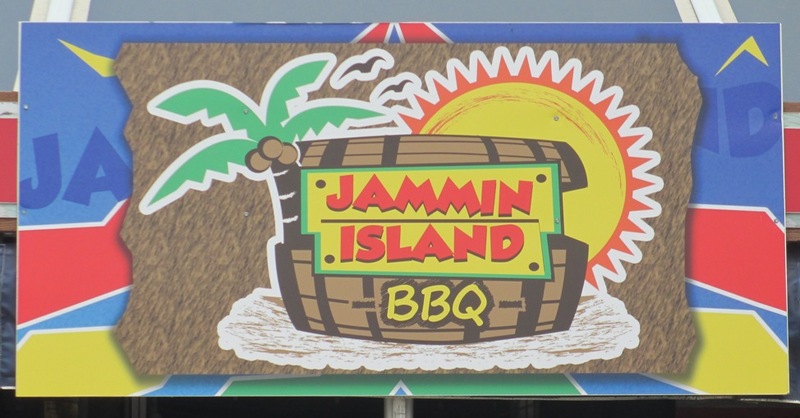 Nationals Park Food, Tip #3: The Jammin’ Island Jerk Chicken Sandwich. I wasn’t lucky enough in my last visit, but employees have been known to pass out samples of the Jammin’ Island jerk chicken, which often results in sales. I have tried the chicken…it’s seriously spicy but delicious stuff. Spicy jerk chicken goes great with beer, and on some nights you can get a beer cheaper than usual at Nats Park. The sandwich has cole slaw piled onto it. It doesn’t include sides, but you can get them added for a fee. There are two Jammin’ Island outposts, one near the Bud Light Loft in center field. If you know to get a discounted beer, that’s the place to be. There are three Nationals Park food items to try, but I don’t mean any disrespect to some of the other choices…there are great Virginia Ham & Biscuits, the intriguing Haute Dogs, or try foods I’ve listed here and here. 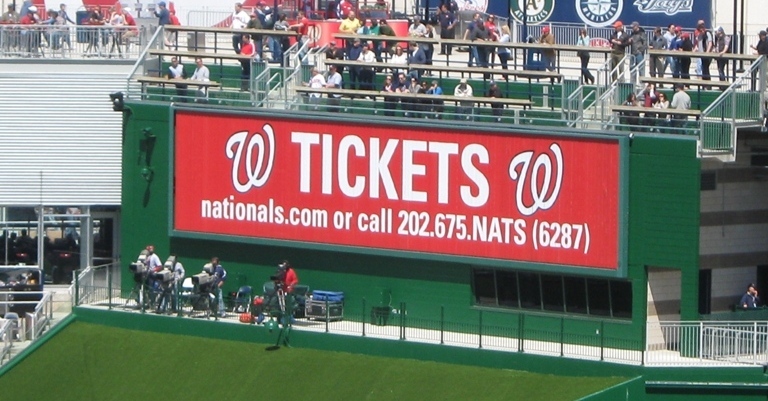 Want to know more about Nationals Park? Sign up here for my completely free Nationals Park e-mail newsletter series, and score some seriously valuable info about tickets, seating, transportation and food…see you at the Yard! What Happened To The Montreal Expos? Enjoying the cool Nationals game tips? Sign up today for the absolutely free Ballpark E-Guides Nationals Park newsletter!